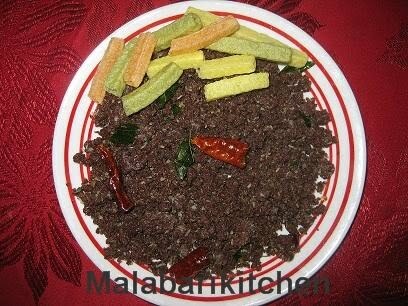 I have already published how to make ragi puttu (ragi steam cake).Here I am giving you ragi upma. This can be made from remaining ragi puttu. =►Mash left over ragi puttu and keep it aside. 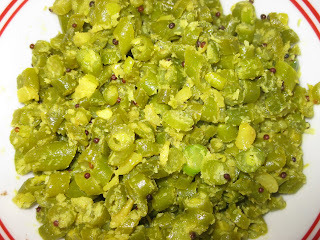 =►Heat oil in a pan add mustard seed and allow it to crack. =►When it cracks add dry red chilly, curry leaves along with mashed ragi puttu. =►Saute it 2-3 minute on medium flame and add grated coconut into it. 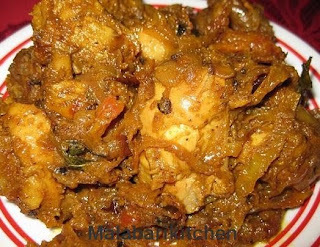 =►Have it with any curries, sugar or ripe banana. Note: This is a healthy recipes and is good for all.